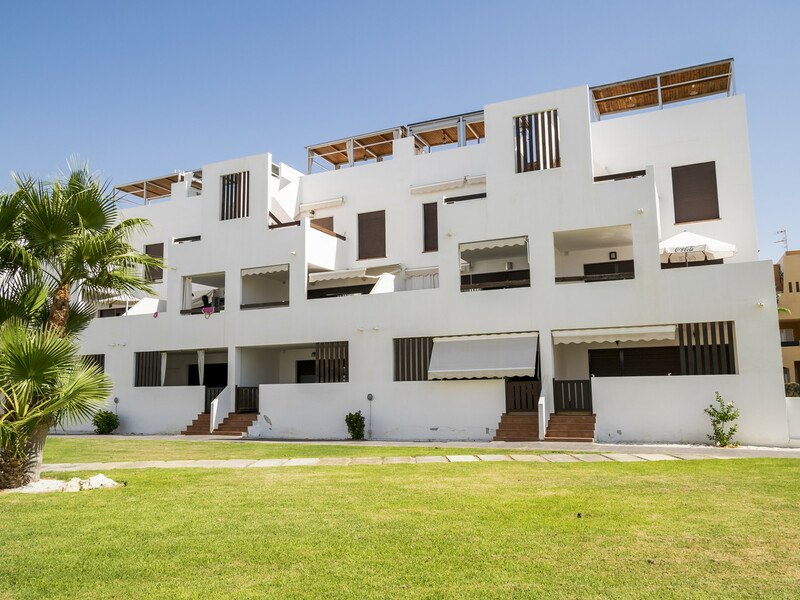 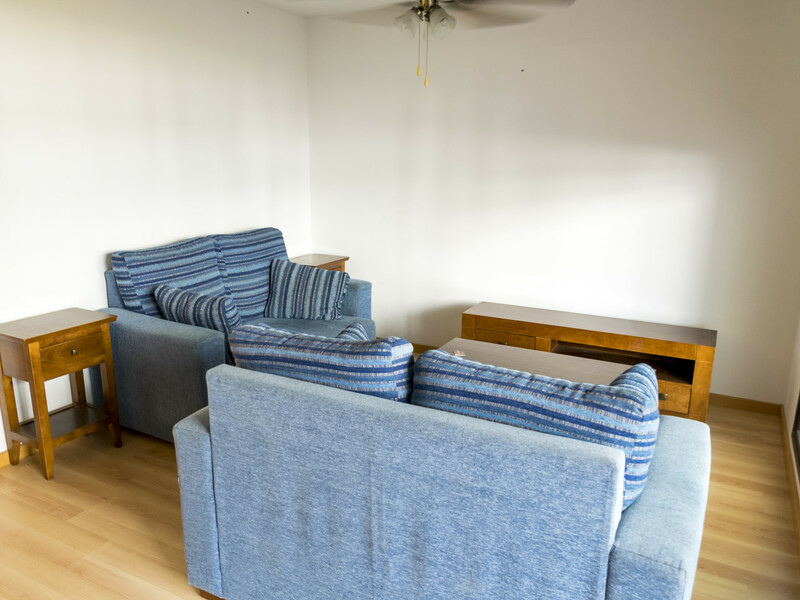 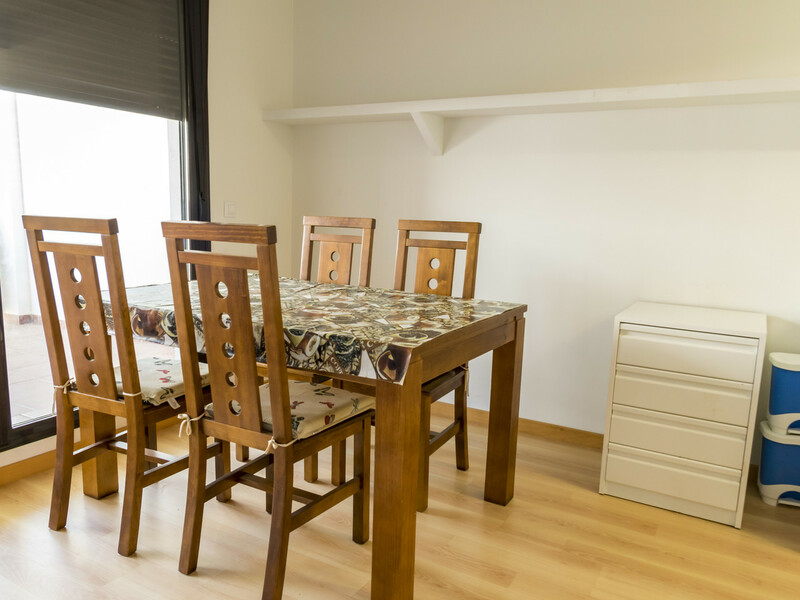 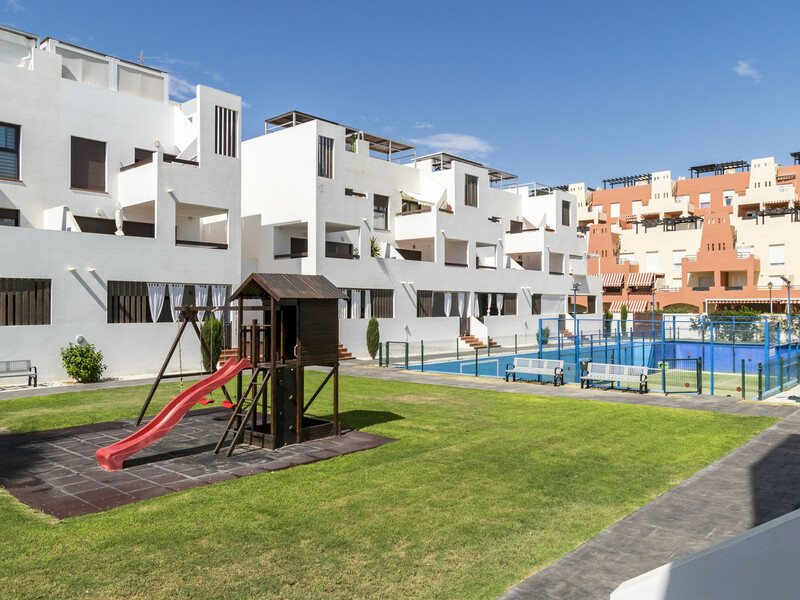 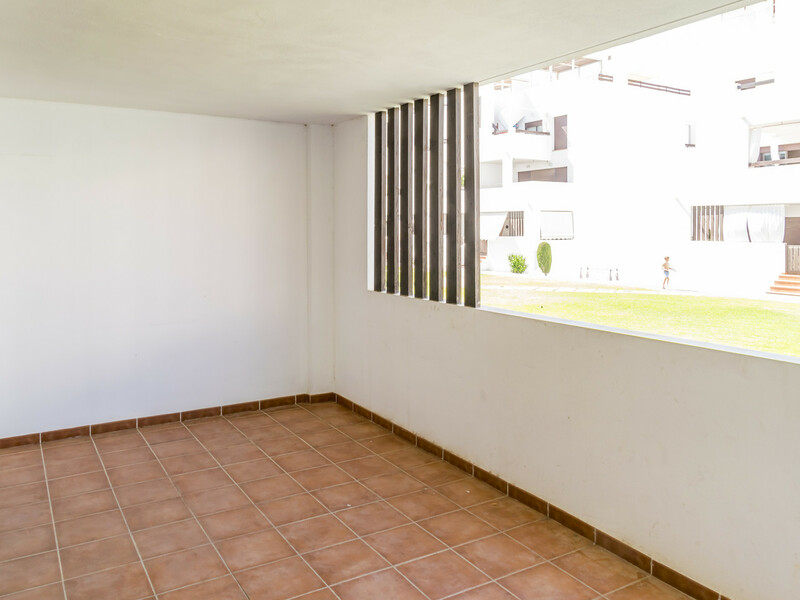 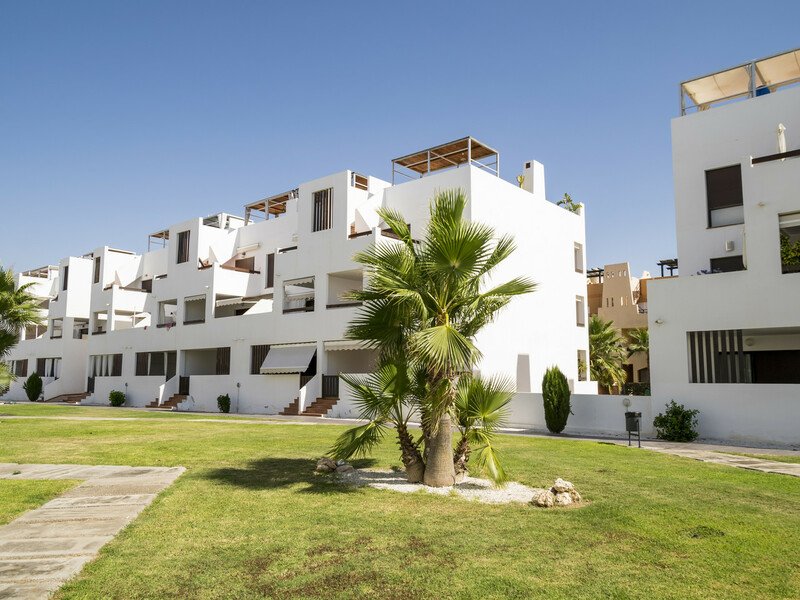 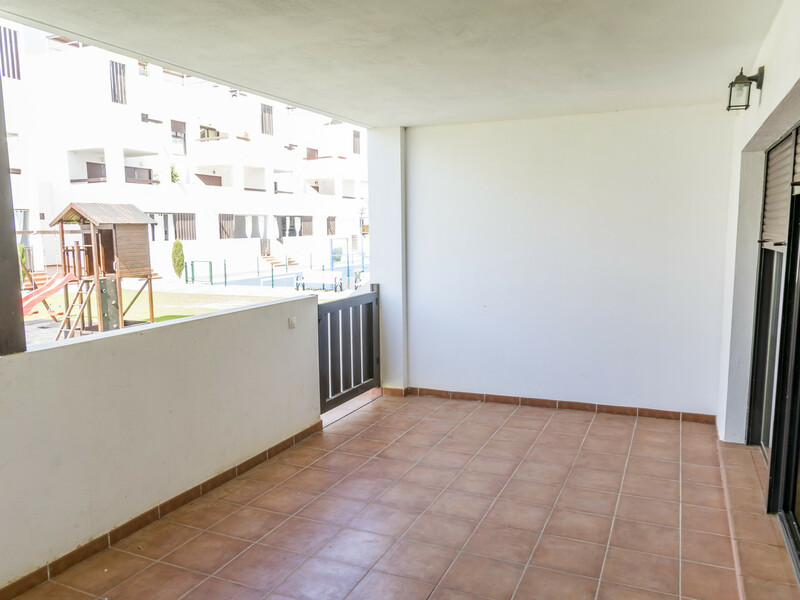 This is a wonderful, ground-floor apartment located on the wonderful Alborada complex, which comes with allocated undergound parking plus additional storage lock-ups, as well as very well-maintained grounds and gardens, large communal swimming pool, paths, playgrounds, tennis courts and more. 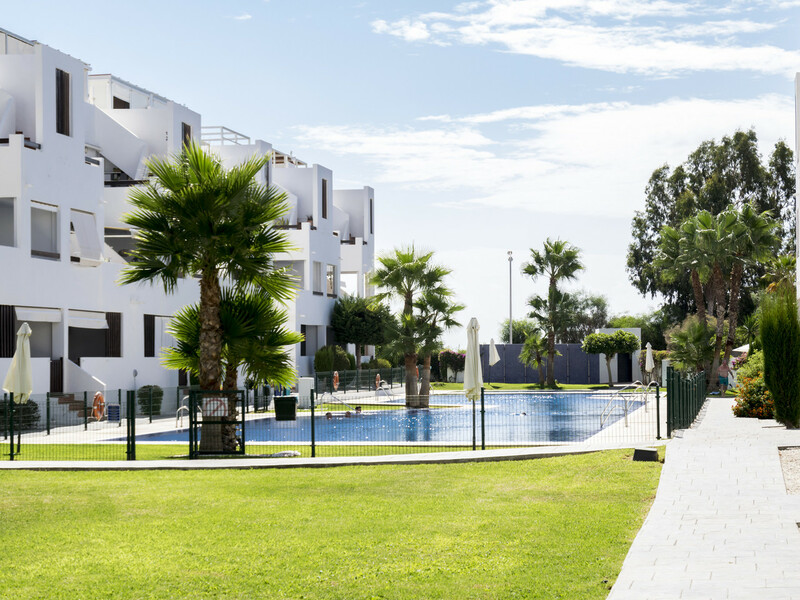 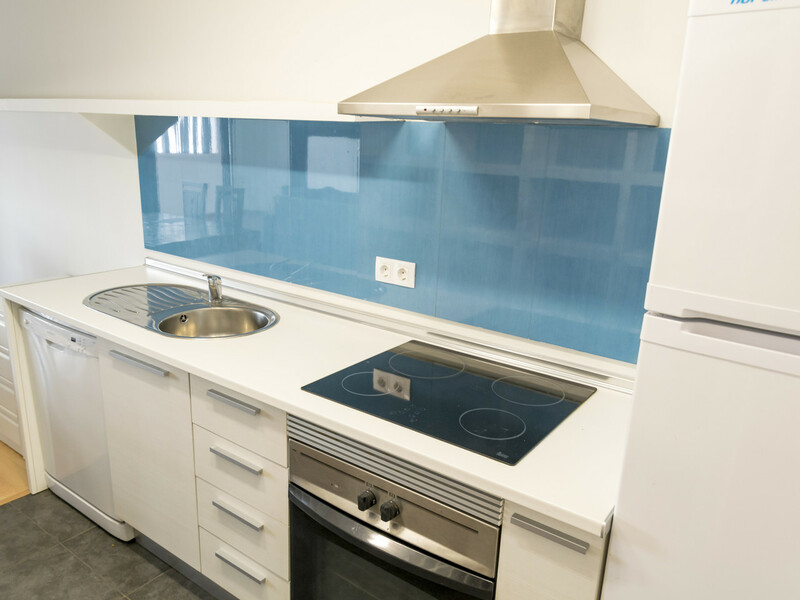 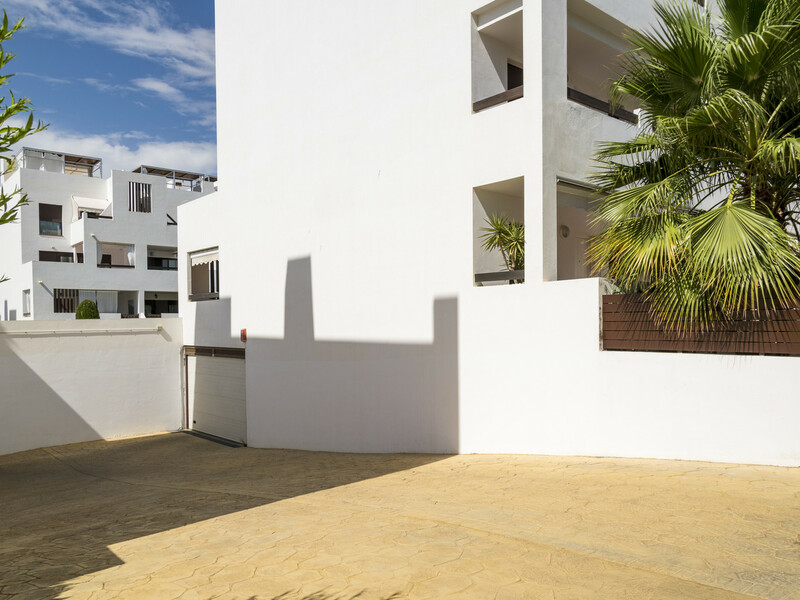 This complex is located within walking distance of numerous local bars and restaurants and not much further to the new shopping centre and Consum supermarket, but is also just a couple minutes walk to the glorious beaches of Cala Marques, making it an ideal situation. 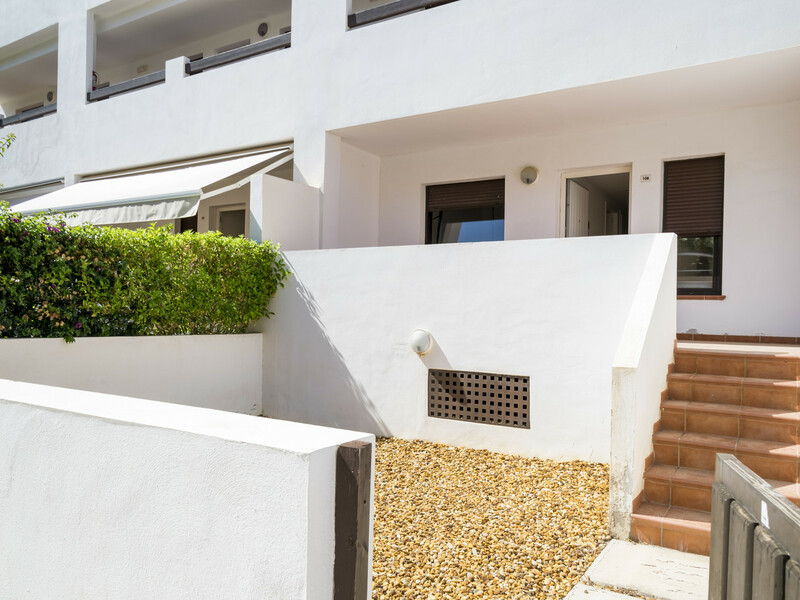 Access to the property is through a private access gate and into the front garden/patio area of the property that leads to the front door. 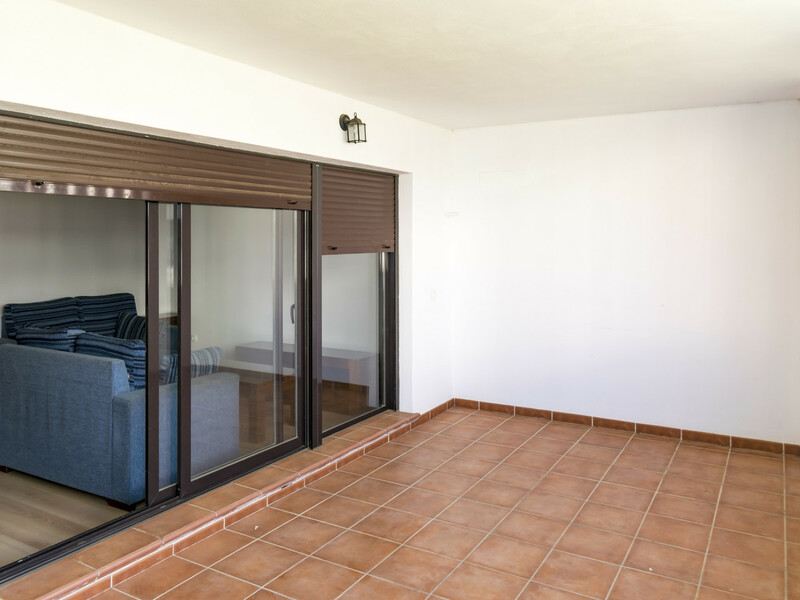 Once through the main entrance, you will find yourself in a brief hallway running past the bedrooms and leading directly into the main, open-plan living space, consisting of both lounge and dining room plus the kitchen, all of which is very modern and bright thanks to large patio doors leading out onto a very spacious covered terrace, more than large enough for outdoor lounging and dining purposes, looking into the communal areas. 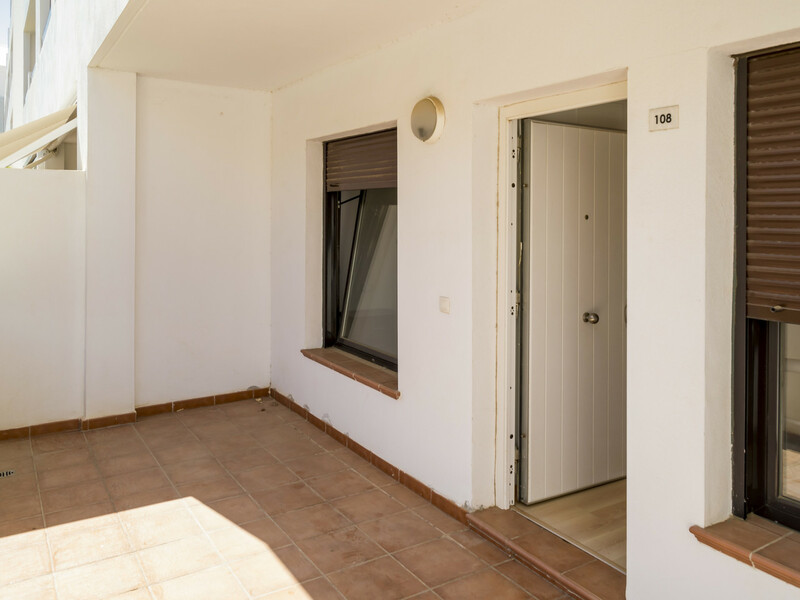 The remainder of the property consists of the sleeping accommodation, with a total of two bedrooms and a large family bathroom. 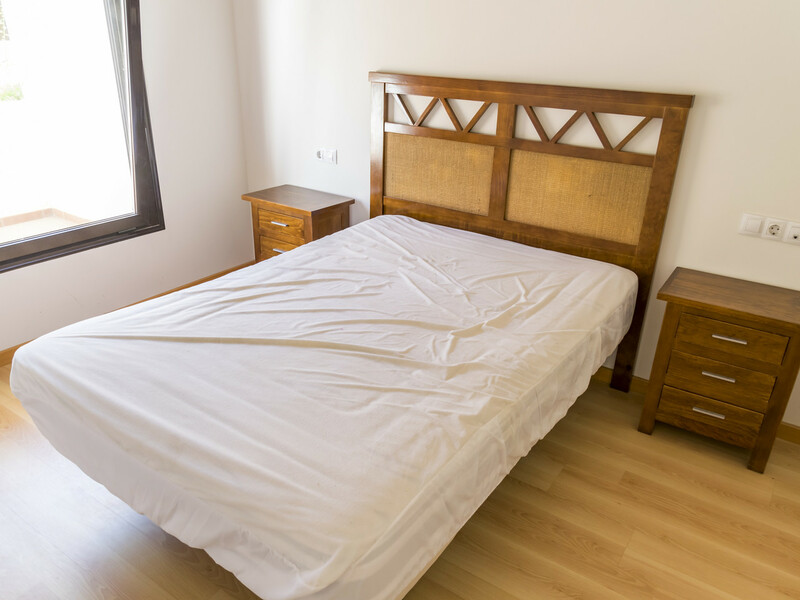 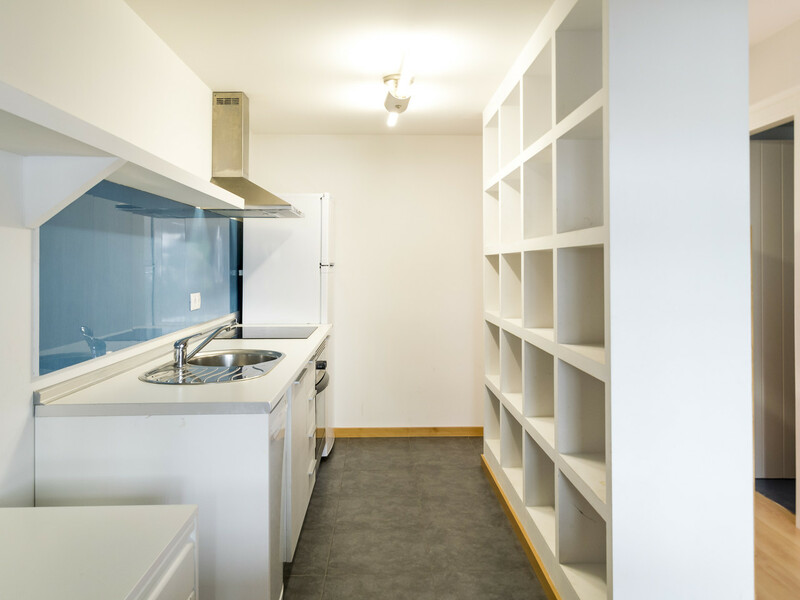 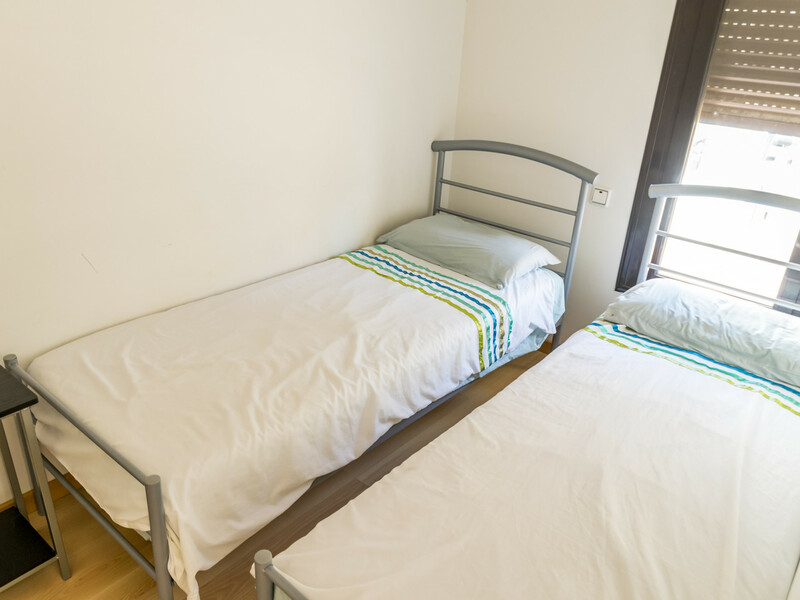 The largest bedroom more than sufficiently accommodates a double bed and benefits from fitted wardrobes, whereas the second bedroom is smaller but can fit two singles as per the current setup and also comes with fitted storage. 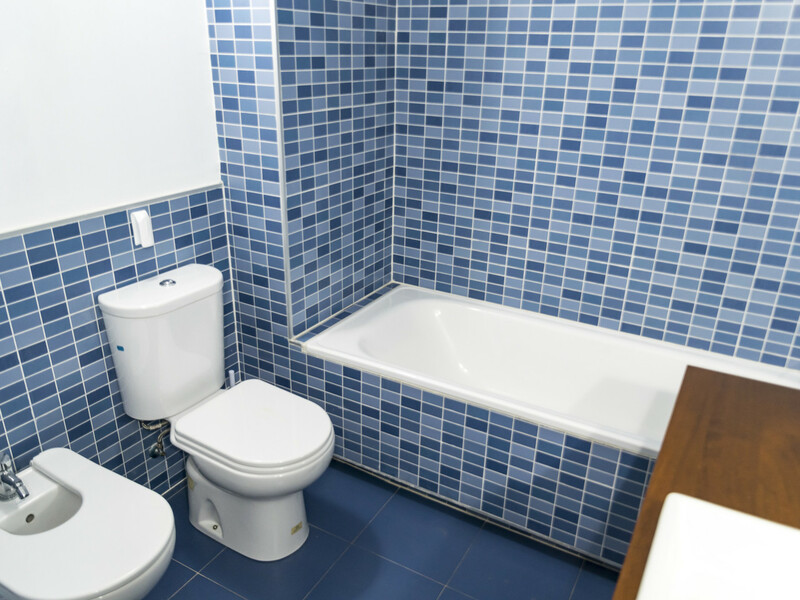 The family bathroom is a very good size as well as modern, equipped with a bathtub. 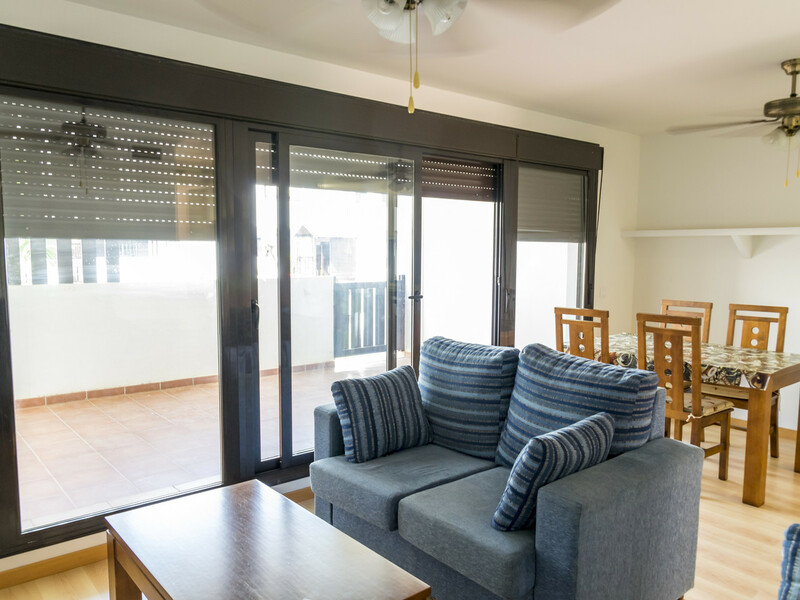 Air-conditioning is pre-installed for easy connection if required.